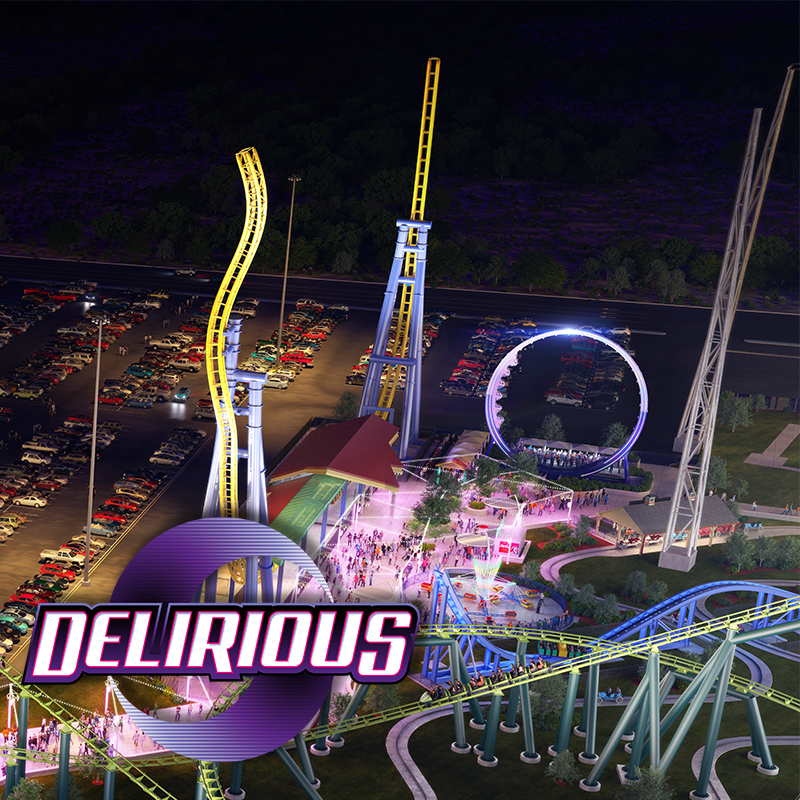 Valleyfair 2018 - Delirious: Larson Loop : Theme Park News & Construction! Glad that the park is getting another inverting ride but I have no idea what it is based on the pic. maybe a relocated boomerang? Didn't some CF park just remove one? ^ Larson "Special" Loop? I just hope for another addition! First RMC hybrids, now a Larson loop. Wonder if there will be any 4D freespins going to any Cedar Fair parks next. Like, DEAR GOD they're horrible. Thank God they didn't call it a roller coaster, and thank God it's not the Boomerang. They really like their nostalgia poop going on around Route 76. Guess we just have to be patient again lol At least they still know they haven't had a new roller coaster in 11 years. Definitely not what I was expecting, but overall it looks like a fun, solid addition that should go over well with the crowds. This addition does make me wonder if Looping Starship might be removed sometime in the near future since this new ride essentially does the same thing. I just realized that Steel Venom and Steel Vengeance sound sorta similar. VF has been focusing almost all of their attention on Route 76 and that surrounding area of the park for the past 3 or 4 years, so I think this might be the cap to it. My speculation: In 2018, we will see the addition of the Larson Loop and the rest of the Route 76 zone enhancements. There really isn't much more they can do with this zone beyond that lol. They will remove Excalibur in the second half of the season for the Soak City access lot. In the next year or two, they will remove the Looping Starship for more waterpark expansion (Starship has been on its way out for awhile, and with the Larson Loop, this is guaranteed to leave soon). After Route 76 and the water park expansions are all finished, I see Dinosaurs Alive leaving and the long f&$%ing awaited roller coaster moving into its footprint. I see that happening in 2020-2022. 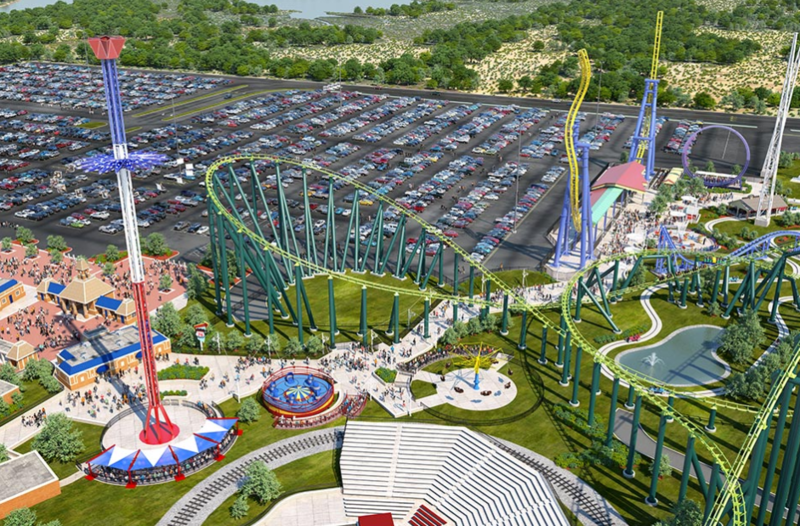 I know this park has pulled a lot of crap that doesn't appeal to us thrillseekers, but they have a fantastic waterpark that will only get better, and a very decent coaster line-up that would be hella lovable with a modern looper. 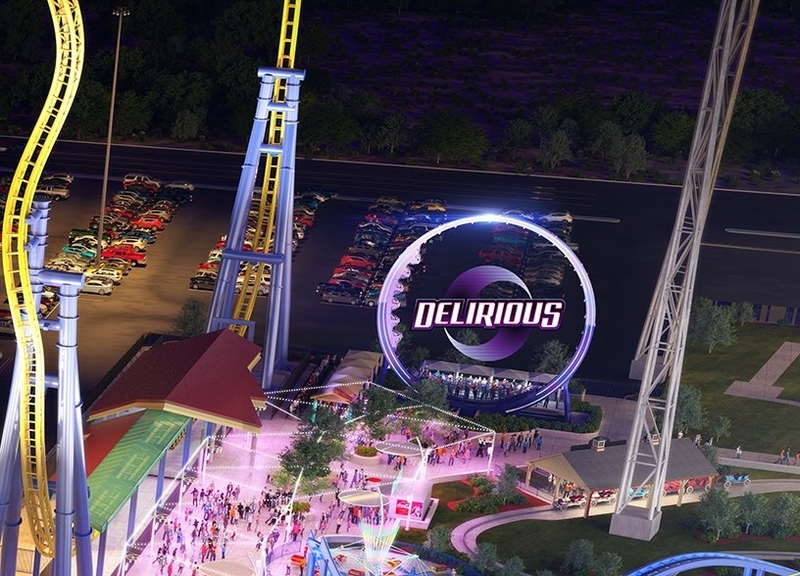 Nobody is more ticked off than me that they still aren't announcing a major roller coaster, but it is a business after all, and they're doing the best they can. Why is Dinosaurs alive even a thing? The one in Dorney is almost always empty when I'm there. I truly don't know. Valleyfair's is exactly the same and it literally takes up like 1/5 of the park lol. Purple Larson Loop doesn't look bad to me as it sounds like a futuristic portal thing! That makes a lot of sense and I agree it's not what enthusiasts want to hear, just like SW8 its a smart business decision. Hopefully 2020 does bring a coaster that has had enough planning that it'll be a fantastic addition - given the recent advancments of companies like Gerstaluer, Mack and RMC they might be entering the market at a good time as we were told at Hansa Park that Karnan took the best part of 5 years from conception to opening. Meaning all the lesson learnt now, can be applied to this coaster! They're, I think, clever! Great decision! Last edited by lol240 on August 24th, 2017, 5:25 am, edited 1 time in total. I'm not sure "clever" is the word I would use. But at this point I'm glad to see they're growing at all.